William P. C. Barton--distinguished botanist, botanical illustrator, professor, and medical doctor--combined art and science in his work. He wrote about the usefulness of his "own habitual freedom in the use of the pencil and the brush" in translating his scientific observations into visual images. 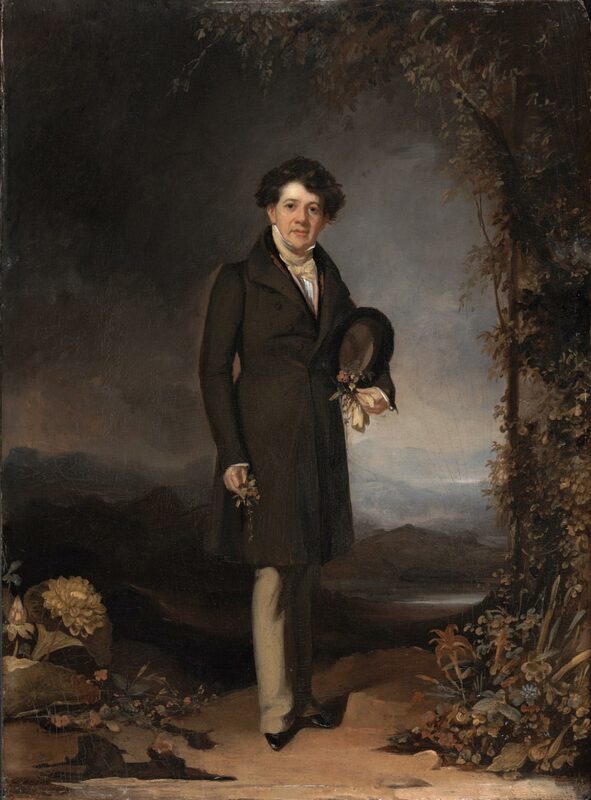 Barton is shown here on one of his rambles through the outskirts of Philadelphia in search of new botanical specimens. Samuel Gross, his student at Jefferson Medical College and later the subject of Thomas Eakins's masterpiece The Gross Clinic, fondly remembered these excursions. Gross reminisced that Barton "experienced as great delight in the discovery of a new plant as Audubon did at the sight of an undescribed bird."